I have this set of dark kraft cardstock. The quality is good, but because it is so dark, I am unsure of how to put it to good use (other than as a cardbase). I thought of using some Distress Oxide Inks on them, since, having pigment property, they would show up better than other options. Once done, I was again lost – what do I do with it?! In the end, I decided to just go with a simple card, with only the addition of a sentiment. I used Concord & 9th Cuddles & Hugs die cut, stacking the part with the kraft die cut, and adding glossy accents for the top most thinnest layer. I also added glossy accents to the hearts. I then die cut a circle from white card base, embossed it using a circular die from Winnie & Walter Ring in the Celebration, and stamped the sentiment from Reverse Confetti Whole Lotta Happy. I then used some flowers – that I had stamped and cut god knows when – from Reverse Confetti Garden Bunch and leaves from WPlus9 Fresh Cut Flowers. After adhering these flowers on the circular sentiment piece using liquid glue, I added foam tape behind the whole piece and mounted it on the card base. Hello and welcome! 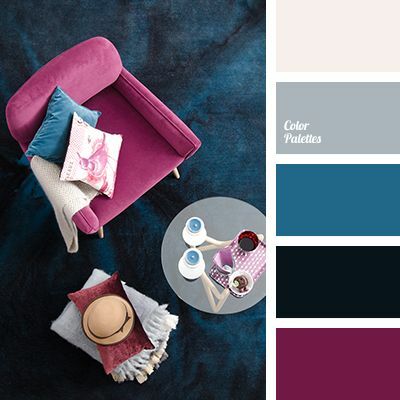 Today I have the honor and pleasure to be present at two challenge blogs.. Its a new challenge at Seize the Birthday, and I am also Guest Designing at CAS(E) This Sketch challenge! 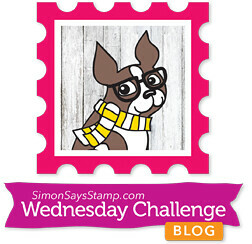 I used the cute little owls from Lil Inker Designs Hootie Patootie stamp set. They are just so adorable!!! I colored them using Faber Castell oil pastels, fuzzy cut them. I cut out a panel of olive green card stock using Neat & Tangled Scalloped die, which I then embossed using Spellbinders Flora embossing folder. I then foam mounted the panel over a white card base, then foam mounted the critters, clouds, balloons, and sentiment on top. I hope you enjoyed my card. And I hope you find time to join both the challenges – they are totally fun. 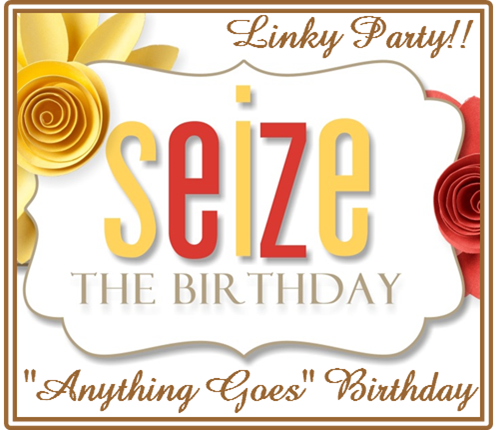 You can find more inspiration at the CAS(E) This Sketch blog and the Seize the Birthday blog, where we are joined by our Surprise Party Guest, Kimberly Lackenbach! 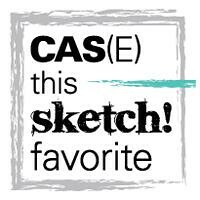 PE: Honorable Mention at CAS(E) This Sketch Challenge!! 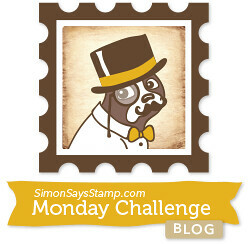 I combined the small leaf stamps from Hero Arts Flower Garden and Simon Says Stamp Nutty Over You stamp sets. I arranged them on my acrylic block and used three shades of green inks to stamp – making a cha-cha-cha (phrase borrowed from Jennifer McGuire 😉 ) to get an ombre effect. I also used distress oxide inks on a piece of scrap cardstock to get a green-black ombre, then die cut it using My Favorite Things Big Thanks die. To assemble, I die cut the leaf stamped panel using Neat and Tangled Scalloped die, foam mounted it on a white card base, and added the sentiment, which I had stacked three high. Hello and welcome to my second post of the day! A clean card using Altenew Build a Flower: Rose stamp and Bold Alphabet die and MFT Blueprints 27 for the stamped panel.